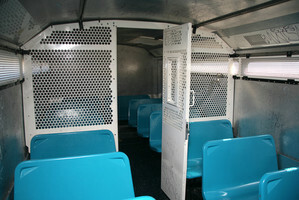 Prison Bus Accidents | Nashville Injury Lawyers The Law Offices of John Day, P.C. If you or a loved one has been hurt in a prison bus accident, you need an ally on your side who will fight for the compensation you deserve. At The Law Offices of John Day, P.C. we have been the voice of injury victims for more than 80 years and we are here to help you. We know how to get results -- we have collected more than $100 million dollars for our satisfied clients. If a governmental entity is responsible for the prison bus crash, special rules apply and the time for bringing a claim is short, so contact our experienced bus accident team today. Call us any time of day at 615-742-4880 or toll-free at 866.812.8787 or contact us online. If your injuries or incarceration prevent you from coming to our office, we will gladly come to you.